With a constant stream of new photo apps, it's easy to feel overwhelmed and unsure where to begin, so I've put together this list of my go-to software for creating mobile photography and art. All these indispensable apps will save your images at high resolution and are regularly updated by their developers. A selection of must-have apps in any mobile photographer’s tool kit in 2015. ProCamera 8 is an excellent photo, video, and editing app. With its renowned powerful and intuitive user interface, ProCamera 8 enables you to shoot stunning HDR photos and precisely control exposure with a simple swipe. It's fast. Simple. Professional. Designed for iOS 8 with HDR and Manual Control. 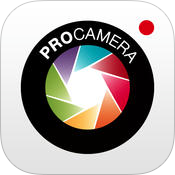 ProCamera is compatible with iPhone, iPad, and iPod touch. “The best all-in-one photo editor provides powerful tools that are easy to use." - Apple, Inc.
Addictive and creative photographic experience. An all-in-one iPhoneography app for creating masterpieces. Intelligent photo correction and professional photo editing tools. Add trendy stickers and vintage filters to your photos and post directly to Instagram. Superimpose photos or apply artistic effects. Award-winning, first-class image editing at your fingertips. Unique, intuitive gesture based interface that makes Snapseed a joy to use. This app offers powerful and sophisticated editing tools for everyone, regardless of your style. From a documentary or more purely, contemporary photographic look, to emulating vintage photography techniques as well as working in deep post-processed artistic styles. Tap and swipe to enhance your image, adjust brightness, contrast, saturation, ambience and white balance. Auto Correct analyses your photo and automatically adjusts colour and exposure to perfection. Tune your image, make selective adjustments, straighten, rotate and crop. Bring out the details and improve the sharpness of your photo. Add creative effects. Transform your photos to black & white, mimic vintage films, or add drama to emulate HDR films. Add depth, atmosphere and texture with the grunge filter. Draw more attention to your main subject by making the background out of focus with Center Focus or use Tilt-Shift to create shallow depth of field. With Retrolux you can make your photos look genuinely vintage with light leaks, scratches, and film styles. Add frames as a finishing touch. Snapseed is available for iPhone, iPod touch, iPad, Android, Mac and Windows. Developed by Nik Software. Now a Google USA service. Simplify your life. Easily backup your photos (and documents) and bring them anywhere. It's one of those rare apps that you won't believe how you could get by without, once you get it! Get started with this tutorial for How to Automatically Backup Your Mobile Photos With Dropbox. Download Dropbox for free. Available for iPhone, iPad, Android, BlackBerry, Kindle Fire, Windows, Mac and Linux. Developed in California, USA. A quick and easy way to share photos and videos.